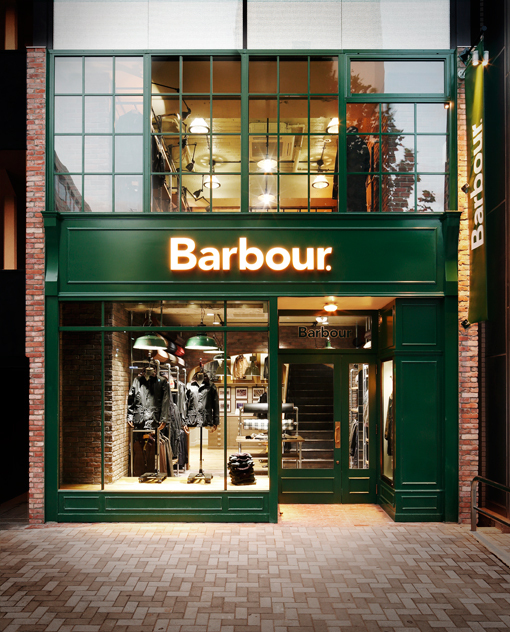 Founded in 1894 in the rural northeast of England, Barbour has quite successfully withered the volatility of fashion trends. 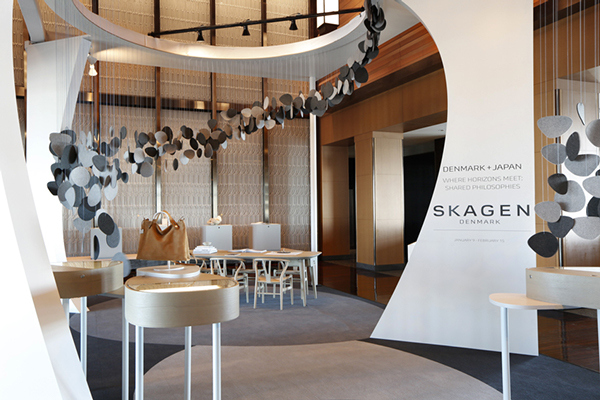 Initially with its iconic wax coats and jackets, which later on evolved into a full men's and women's wardrobe for the outdoors. A true british brand with a rich history, Barbour is riding high on the current wave of heritage style popularity among fashion-conscious crowds across the planet. 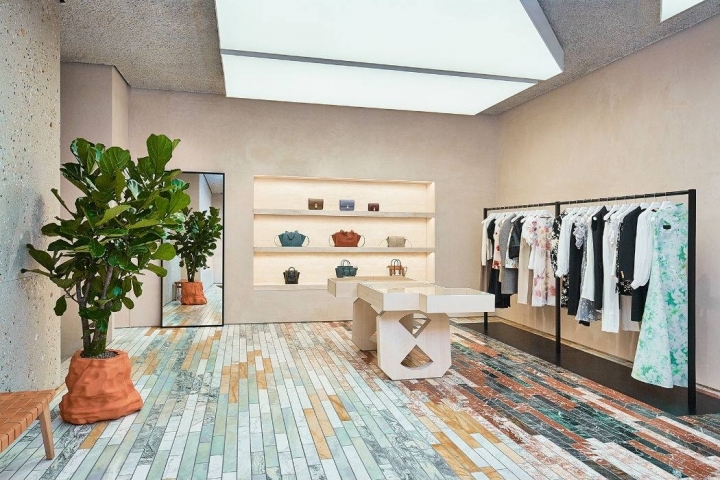 Although already well-known in japan, it has stepped up its presence by opening a store on Meiji Dori in Shibuya, an area of Tokyo that's home to many leading stores and boutiques. 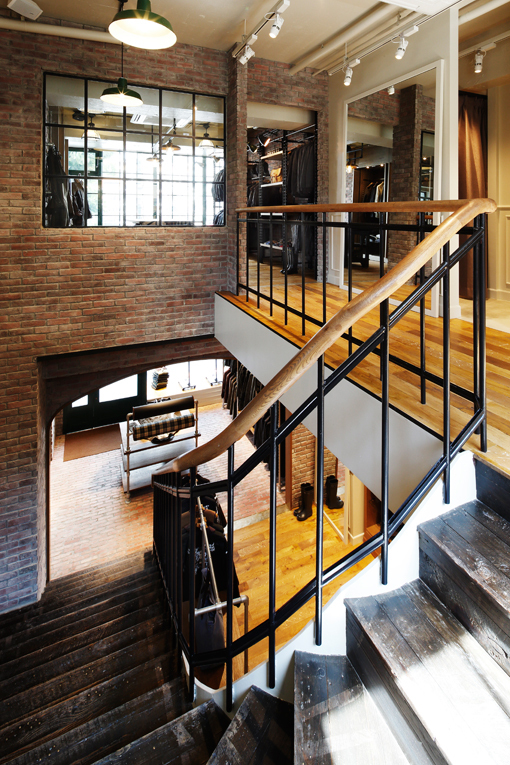 The Barbour store occupies two floors of a modern structure but features an interior design with rustic touches that hint the brand's cultural roots. 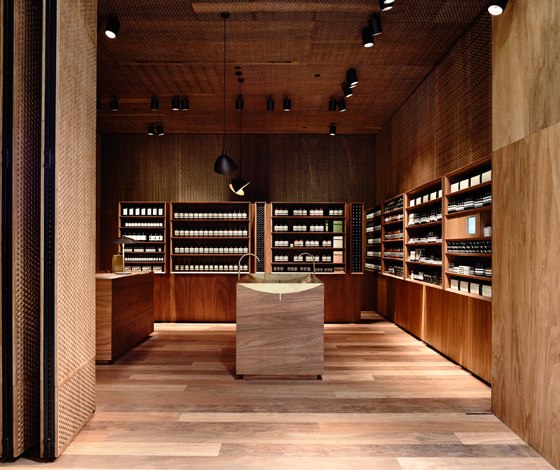 Walls and flooring of bare bricks are alternated with sections covered in white paneling and flooring made from reclaimed wood. 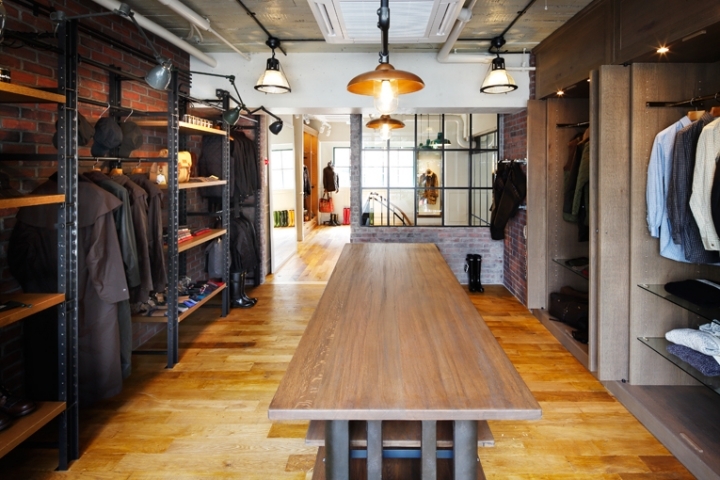 Adding a rugged countryside feel are the clothing racks and shelving made from galvanized steel and wooden planks. 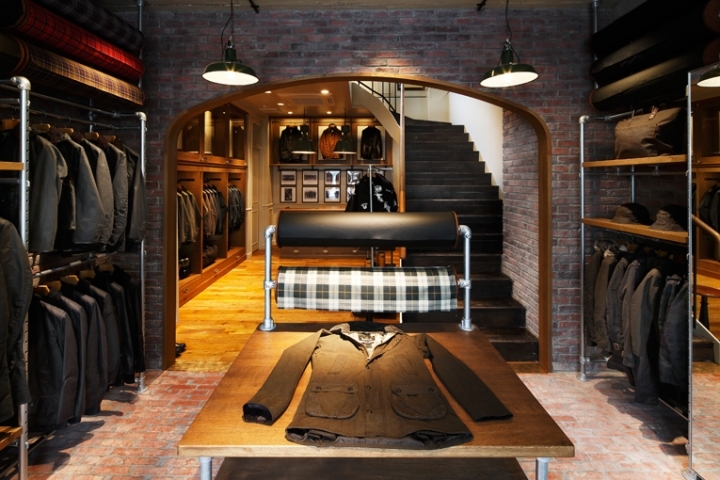 The new Barbour flagship store carries the brand’s full men’s and women’s collection, in addition to seasonal new designs and select hunting garments. To celebrate the store opening a limited edition version of the best-selling bedale sl jacket - a garment tweaked especially for the japanese market and that now has been reworked in edgy tokyo style by Hidenori Kumakiri of japanese brand beautiful people - for both men and women.